Ever since the early 1900’s, video games have given us some of the greatest media to date. The story telling of Final Fantasy, masterpiece music from the Legend of Zelda, and visual design from The Shadow of the Colossus are all perfect example of why a video gaming room is needed at Pacific Media Expo! For 2012, we will be bringing in more equipment and more genres to fulfill all your needs. Whether you’re a fighter, a racer, or maybe simply an undercover cop who’s trying to infiltrate a gang and destroy it from the inside, we've got you covered. 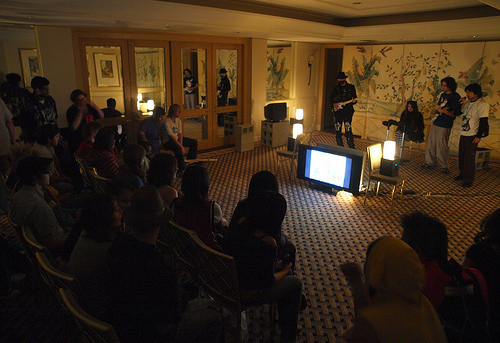 Stop by the gaming room and enjoy some friendly and competitive gaming with your fellow PMX attendees and staff! Perhaps console gaming isn’t your kind of thing. No worries, we’ll have a lounge specifically for handheld gaming so come on by! Whether you play Pokemon on the 3DS or Kingdom Hearts on the Vita, any handheld players are welcome. If you been trying to find a worthy Tetris opponent or need a partner in Little Big Planet, this is the place to be. If you’re more of a competitor type, then be sure to join our tournaments and put your skill to the test! Become the ultimate marvelous fighter in Ultimate Marvel VS Capcom 3, smash your opponents out of this world in Super Smash Brothers Brawl, and hit legendary status in Halo 4! Prizes will be given out for each game so be sure to give everything you got! NOTE: We will have controllers for PMX attendees to use. 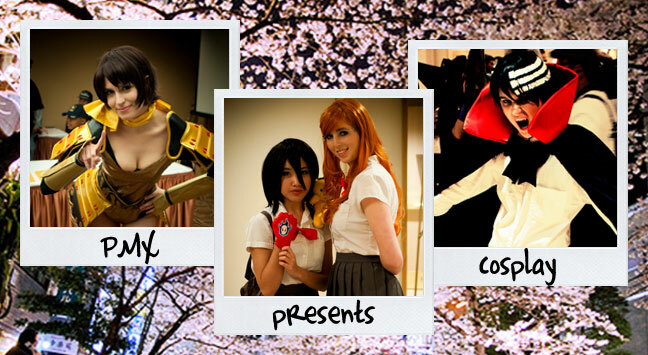 If you prefer to use your own controller instead, feel free to bring it to PMX! Friday – Halo 4 Free For All - 6 p.m.-10 p.m.
Saturday – Super Smash Brothers Brawl - 6 p.m.-10 p.m.
Sunday – Ultimate Marvel VS Capcom 3 - 2 p.m.-6 p.m.
What is Go? 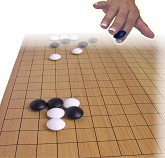 Go is one of the most challenging games ever discovered and is enjoyed by millions of people all over the world. Developed in China 4,000 years ago, it is the oldest board game on Earth played in its original form. Is it easy to learn? For sure! Go is famous for its simplicity of design, yet it is a game of elegant complexity. It is easily learned by a four year old child yet too complex for the world's best computers to beat in advanced player mode. Top professionals make $1,000,000 a year. Japan, China, and Korea all have cable TV channels devoted entirely to Go. There are more possible game variations in Go than atoms in the universe.